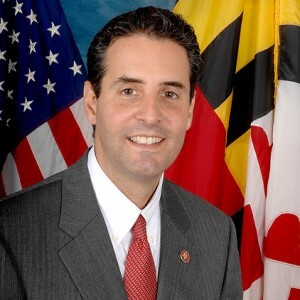 Congressman John Sarbanes was elected on November 7, 2006 succeeding Senator Ben Cardin as the representative from Maryland’s 3rd Congressional District. Rep. Sarbanes serves on the Committee on Energy and Commerce and the Committee on Natural Resources. Rep. Sarbanes has nearly two decades of experience in health care and education from the private, public and non-profit sectors. He served as Chair of the Health Care Practice at Venable, one of the nation's leading law firms, where he represented non-profit hospitals and senior living providers in their mission to deliver high quality care to the people of Maryland. For nearly twenty years, Rep. Sarbanes has worked to improve public education having recently completed a seven-year tenure as special assistant to the State Superintendent of Schools, serving as liaison to the Baltimore City Public Schools under the City-State Partnership.